How do I Schedule a Reevaluation on a VA Disability? If, like many American students, you need financial aid to get through college or university, the process starts with the FAFSA form. It's free and easy to submit (you can do it online) and provides you with access to the largest source of student financial aid. As well as determining eligibility for federal student aid, FAFSA may be used to determine eligibility for state and school aid. Additionally, some private lenders may consider FAFSA information to decide whether you meet their eligibility requirements. FAFSA, which stands for Free Application for Federal Student Aid, is a form students can use to apply for federal aid for college, career school or graduate school. How Do You Qualify for FAFSA? Every U.S. student can complete a FAFSA form to determine their eligibility for financial aid. 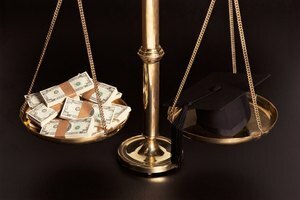 To receive financial aid, you must be a citizen or eligible noncitizen of the United States; have a valid Social Security number; have a high school diploma, a General Education Development (GED) certificate or have completed homeschooling; and be enrolled in an eligible program as a regular student. 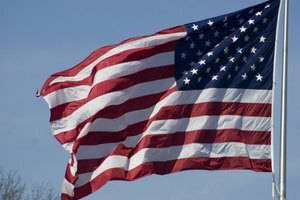 If you're a male and not currently on active duty in the U.S. Armed Forces, you must register or already be registered with the Selective Service System. Additionally, you must maintain satisfactory academic progress and not owe a refund on a federal student grant or be in default on a federal student loan. If you have a conviction for the possession or sale of illegal drugs for an offense that occurred while you were receiving federal student aid, you must complete the Student Aid Eligibility Worksheet to determine whether you're eligible or partially eligible for aid. 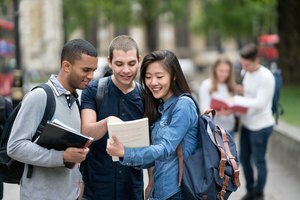 Financial need is a requirement for some types of federal student aid, such as the Federal Pell Grant or subsidized loans where the government pays the interest while you're in college. You may be wondering, "Should I fill out a FAFSA?" If in doubt, do it. Federal Student Aid recommends that all students fill out a FAFSA form to find out what financial aid they're entitled to. The 2019–2020 FAFSA form is available on October 1, 2018, and the deadline for submissions is June 30, 2020. However, it's a good idea to submit your FAFSA form as early as possible, as some federal student aid programs have limited funds. You must complete and submit the FAFSA form every year you’re in school to ensure you stay eligible for federal student aid. You have several options for completing and submitting your FAFSA form. The quickest, easiest way is to do it online at fafsa.gov, which comes with a built-in guide for the process and lets you easily skip questions that don’t apply to you, but you can also download and print a FAFSA PDF from the Federal Student Aid website. You can also call 1-800-4-FED-AID (1-800-433-3243) or 334-523-2691 (TTY for the deaf or hard of hearing – 1-800-730-8913) to request a copy of the FAFSA form in English, Spanish or braille. Some school or college financial aid offices let students file their FAFSA forms there and submit it electronically on their behalf. To prevent processing delays, Federal Student Aid advises creating an FSA ID, which is a username/password combination that lets you sign your FAFSA form electronically. It also lets you sign loan contracts and access and change some of your information online. If you're a dependent student, your parent also needs an FSA ID in order to cosign your application online. You need a Social Security number to get an FSA ID. The FAFSA form consists of several questions, and it's important to provide full answers to all the questions that apply to you. All applicants must complete questions 1-58. 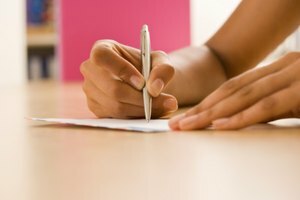 Questions 1-31 relate to personal and educational information (such as name, address, date of birth, citizenship status, name of high school and grades). Questions 32-45 concern financial information, relating to things like your tax return, gross income and taxes. Questions 46-58 relate to dependency – in other words, whether you are, under U.S. law, a dependent or an independent student for federal student aid purposes. Questions 59-94 should only be completed by dependent applicants using information provided by their legal parents. Questions 95-102 apply to independent students only. If you answered "Yes" to any of the dependency questions (46–58), you must answer questions 95–102. As part of the FAFSA form process (in response to question 103), you must name at least one school to receive your information. It's advisable to add any school you plan on applying to, even if you haven’t been accepted yet. Each listed school uses your FAFSA information to decide what types and amounts of aid you could receive. The Federal School Code Search helps you find colleges you may want to include on your FAFSA form and also provides tuition and fee amounts and graduation rates for each school. You can compare information for up to 10 colleges at a time, and you can list up to 10 schools if you submit your FAFSA form electronically (you can only list four schools if you submit the form by paper, but you can add more schools at a later date). Schools don't find out what other schools you've listed on your FAFSA form. The order in which you list the schools is irrelevant for federal student aid purposes, but if you want to be evaluated for state aid eligibility, make sure you know if your state has any requirements for how schools are listed. For example, the first school on your list might need to be a state school. The Federal Student Aid website provides up-to-date information on listing schools on the FAFSA form for each state. Finally, questions 104-108 must be completed by all applicants: the date the FAFSA form was completed, your signature, your parent's signature if you're a dependent student and information from the person who was paid to assist you with the FAFSA form, if applicable. Most students are dependent students, even if they're paying their own way through college or no longer have a relationship with their parents. Being a dependent student doesn't mean your parents are required to pay anything toward your education. Rather, their financial status is assessed in order to get a bigger picture of your circumstances. Dependency status questions on the FAFSA form include your age, whether you're married, whether you support any children of your own, whether your parents are deceased and whether you're an emancipated minor or someone other than your parent or stepparent has legal guardianship of you. You only have to answer "yes" to one of the questions to be deemed an independent student. For example, if you were born before January 1, 1995, you're an independent student for federal student aid purposes and don't have to provide information about your parents on the FAFSA form. However, if you answer "no" to every dependency question on the FAFSA form, you're considered to be a dependent student for federal student aid purposes and must provide information about your parents on the form. What Happens After the FAFSA Application? After your completed application is received, the FAFSA processor evaluates your information and provides a Student Aid Report (SAR) or SAR Acknowledgement to summarize that information. If you gave an email address on your FAFSA form, you receive your SAR online. Otherwise, you receive a paper SAR or SAR Acknowledgement. Typically, you should receive an email within three to five days containing a link to an online copy of your SAR. A paper SAR or SAR Acknowledgement takes longer – up to three weeks. It's important to read your SAR carefully to ensure it's accurate. Your FAFSA information is shared with the schools you've listed on your FAFSA form, and the financial aid office at each school uses this information to work out how much federal student aid you may receive. If the school has its own funds for financial aid, it might use your FAFSA information to determine your eligibility for that aid as well. Each school will send you a financial aid offer (sometimes called an award letter), which sets out the types and amounts of financial aid you may receive from federal, state, private and school funds. If you've applied to more than one school, compare the financial aid offers to help you determine the affordability of studying at each one. Your financial aid comes directly from your school, and exactly how you receive it depends on the type of aid. Your school will give you all the information you need on how and when your aid will be distributed. In most cases, tuition, fees and campus room and board are deducted from your aid, and any remaining funds are paid directly to you for other educational expenses, such as books, supplies, transportation, electronic equipment and dependent care. Is the FAFSA free money? That depends on the type of financial aid you receive. Student loans, whether from federal, state, nonprofit or private sources, must be repaid according to the terms of the loan agreement. On the other hand, grants don't have to be repaid. All students who submit a FAFSA form are considered for loans, grants and, if you wish, the Federal Work-study Program, which provides jobs for undergraduate and graduate students with financial need, allowing them to earn money to help pay for their educational expenses. If you receive a student loan, the repayment terms depend on your loan type and servicer. Many repayment plans are available, and you'll have the opportunity to consider them all and make a choice. However, if you don't choose a plan, you'll automatically be put on the Standard Repayment Plan, which requires your loan to be paid off in 10 years. It's possible to switch to a different plan during the lifetime of your loan to suit your financial circumstances. For example, an income-driven repayment plan bases your monthly loan payment on how much you earn. The Federal Student Aid website provides an online calculator, which you can use to estimate your repayments under different plans and decide on the best option for you. When it's time to make your loan repayments, you make them directly to your loan servicer (a company that handles billing, repayments, consolidation and other matters relating to your loan on the government's behalf). Each servicer has their own processes, and you can contact them if you have any questions or are struggling to make payments. If you can't make your payments as per the terms of your loan, you may be able to change your payment due date, switch to a different plan or consolidate multiple loans into one to simplify the process. 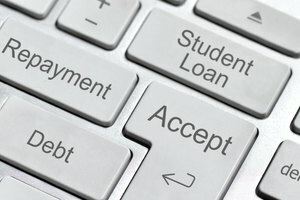 Federal Student Aid: Am I Eligible to Receive Financial Aid? Gillespie, Claire. "What Is FAFSA?" Synonym, https://classroom.synonym.com/what-is-fafsa-13714929.html. 23 September 2018.